As a personal trainer and class instructor at the Frisco Athletic Center, Lisa understands the importance of eating healthy. 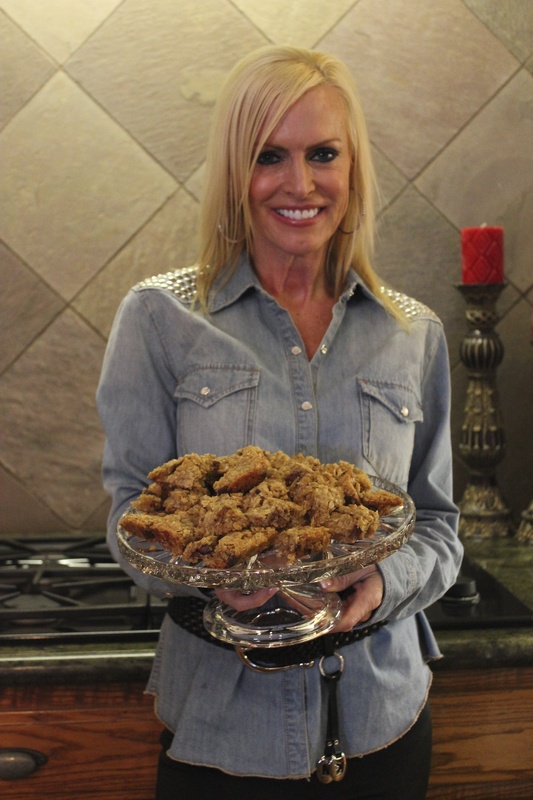 While living in Fort Lauderdale and working for a cooking show at the time, Lisa was determined to find a healthier alternative to chocolate chip oatmeal cookies that her kids could enjoy. 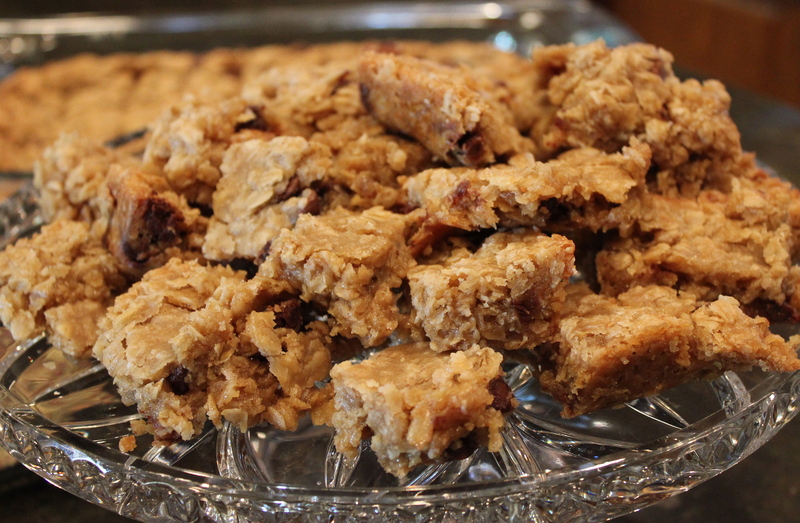 After experimenting on her own, she perfected this recipe for oatmeal bars. Unlike a traditional cookie, these bars contain neither butter not eggs. Instead, they are loaded with whole grain oats and skim milk. Lisa’s cookie alternative is a tasty and good-for-you recipe that you don’t have to feel guilty about eating. Fortunately for my husband and me, we were able to try some of Lisa’s oatmeal bars and absolutely LOVED them! 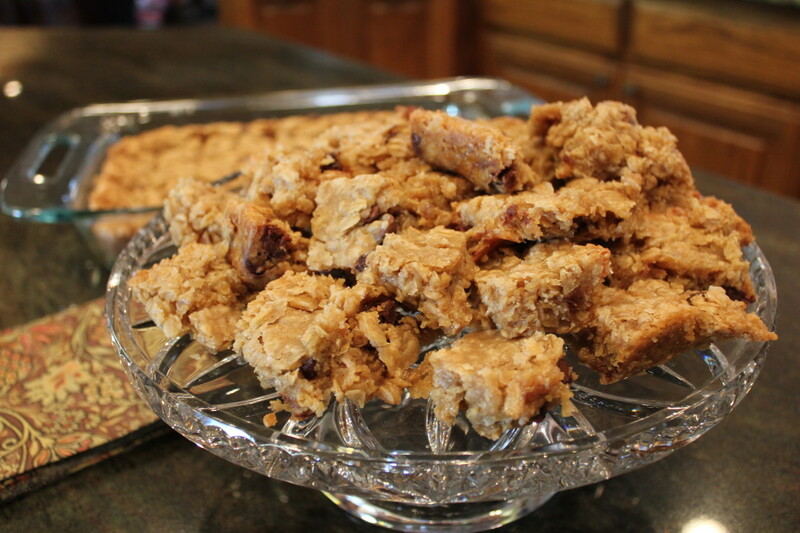 Lisa used to sell her bars when she lived in Florida and I can see why people would buy them … they are delicious! Enjoy. Mix dry ingredients together. Add liquid to dry ingredients with wooden spoon. Spread mixture into a 9x13-inch greased baking pan. Bake for about 24 minutes.